I just came back from co-hosting a 2 day event in Nashville, TN called the “Dealmaker Bootcamp”. We spent two days with a group of awesome folks talking about how they could “up their game” when it came to marketing n 2015, and they were also able to put an actual marketing plan together for each of their businesses. During those two days we took 3 of the main pieces of the puzzle, broke them down and then put everything back together. It was great fun to watch everyone leave the event with a plan; a plan for growing their business in the upcoming year. Want to Come Next Time? My buddy Bill Walston and I will be having another one of these events in Nashville at the end of February in 2015. If you are interested in getting your name on the waiting list just let me know. You will be notified when registration opens in January and get the “early bird special” pricing for your early registration. These are small group, hands on events, and we can only accommodate a certain number of people. If you are interested be sure to secure your spot as soon as we open it up. There was a whole lot more than that, but let’s just say that is the “short version”. Today I would like to share with you some of what we focused at the bootcamp including the 3 important components of a marketing plan. This is such an important piece of the puzzle. Your strategy will be determined by many things. Your background will play an important part in this decision. What your interests are is important, but not nearly as much as what you are good at. What do you know that will provide a good background for your real estate investing business? You should know that what you know and what you really want to do may not always “mesh up”. The second thing that will greatly influence your investing strategy is money; the amount of cash and credit available to you for your investing business. Here’s an example for you. If your investing strategy of choice is being a buy and hold landlord but you don’t have access to cash or credit, you will need to put this particular strategy on hold. Banks want to know that you can repay a loan before they fund your deals. It will be important to have a job or a regular source of income at least in the beginning. Down the road if your properties are producing good cash flow they will be more inclined to make that loan to you for additional properties. 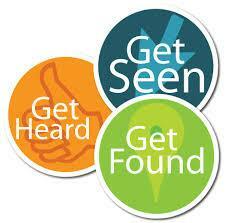 Outbound marketing strategies are things you do to make leads call you. Many of these will be offline strategies. One example of that would be direct mail (which is one of my favorites). Another example would be calling potential motivated sellers like expired listings or FISBO’s. The thing to remember here is that with outbound marketing strategies these are things you need to do something on an ongoing basis to get your phone to ring. Inbound marketing strategies are often online strategies, and they are things that are pretty much “set it and forget it” marketing strategies. A perfect example of this is your website. You may to some tweaking along the way, but for the most part once it is set up and SEO optimized correctly it is a lead generating machine that will work 24/7 for you week after week. Another example of inbound marketing strategies is posting multiple Craig’s List ads in multiple Craig’s List accounts. Once these ads are set up, all you do is hit “renew” every 48 hours. You know I am a big fan of the Oncarrot websites, and one of the things I love about Oncarrot is all the “extras” that you have available to you. The special “Post2Profits Craig’s List Training” in one of the many things they offer to help you build your business. This training covers a unique way of setting up a lead generating machine in Craig’s List. If you want to learn more about Oncarrot and what they have to offer, you can take a look at a post that I did on the websites. You can do that by Clicking Here…. If you want to check out the special offer they gave me for my readers that included the “3 Leads per Day Training” AND the “Post2Profits Craig’s List Training” you can do that at the link below. They will also give you 3 websites to try out completely free for 1 month in this package. Just Click Here…. This is such an important topic that I am breaking this piece of the puzzle into a separate blog post later this week. If you haven’t already done this, try to nail down your main investing strategy based on the criteria above. Next you want to choose 4 or 5 lead channels to begin working on. Finally, let’s get busy and start creating a marketing plan for your business to make the upcoming year your best year ever.